Nyíregyháza ([ˈɲiːrɛchaːzɒ], Yiddish: נירעדהאז‎ Niredhaz) is a city in northeastern Hungary and the county capital of Szabolcs-Szatmár-Bereg. 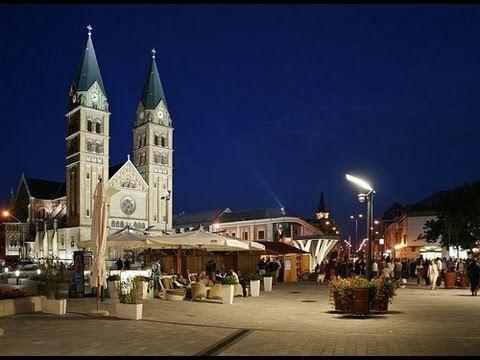 With a population of 118,000, it is the seventh-largest city in Hungary and is one of the leading cities of Northern Hungary and of the northern part of the Great Hungarian Plain (Alföld). Its development has been ongoing since the 18th century, making it the economic and cultural center of the region. 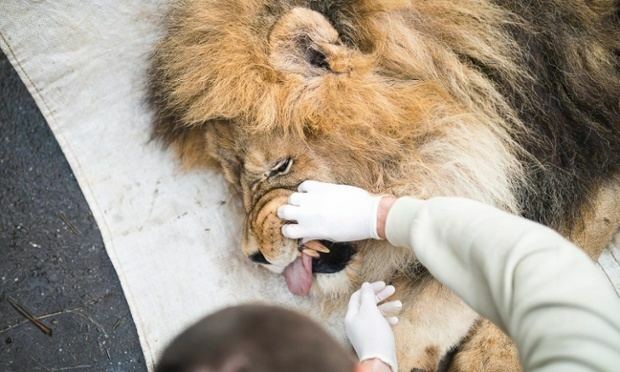 Its zoo, exhibiting more than 300 species including real rarities, is recognized throughout Europe. Nyíregyháza is located in Szabolcs-Szatmár-Bereg County in the northern Plain region (Szabolcs-Szatmár-Bereg county, Hajdú-Bihar county, and Jász-Nagykun-Szolnok County). It is the most important city of Northern Hungary, in all respects the center of the region. It is located in the center of Nyírség as an agricultural town. The boundaries of the city are often understood as a very broad frame, because generally the near suburbs are included in them. It is located at the intersections of routes 4, 41, 36, and 38, therefore the city is easy to reach by road. Sub-Carpathia and Transylvania cannot be reached without passing the city. The first written mentions of Nyíregyháza date back to 1209, although it was then called simply Nyír ('birch'), after the Nyírség, the greater region in which the city lies. A source from 1326 mentions that by then the city already had a church, hence the second part of the name, egyház (meaning 'church'). In the middle of the 15th century the town had about 400 inhabitants. In the 16th century, during the Turkish occupation of Hungary, Nyíregyháza became deserted; it was resettled only in the 1630s – 1640s. After the War for Independence led by Prince Francis II Rákóczi, the population of the town increased. Most of the new settlers were Slovaks from the area of Békéscsaba. In 1786, Nyíregyháza was granted the right to hold four market days a year; by this time the town was the biggest town of the county with 7,500 inhabitants. In the early 19th century, Nyíregyháza was wealthy enough to become free from its feudal lords, the Dessewffy and Károlyi families. During these prosperous years, the town got a new town hall, a hospital, several schools, and a restaurant by the nearby lake Sóstó ("Salty Lake"). The inhabitants of the town took an active part in the revolution and war for independence in 1848-49, and after the suppression of the revolution several citizens were imprisoned, among them the mayor, Márton Hatzel. 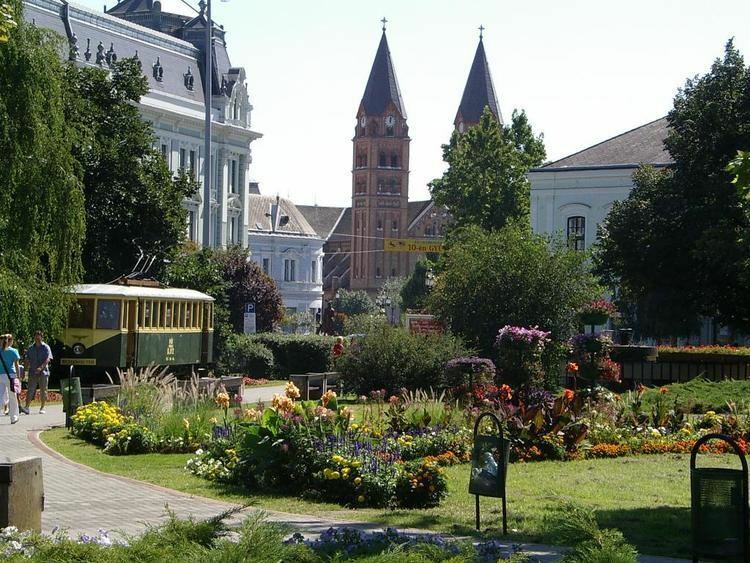 In the second half of the 19th century, Nyíregyháza became more and more urbanized and in 1876 the town became the county seat of Szabolcs County (which is now part of the larger integrated county Szabolcs-Szatmár-Bereg). In 1858, the railroad line reached Nyíregyháza; several new buildings were built, including a telegraph office, the main post office, and the theater. In 1911, the construction of tramways was finished. After the many trials and tribulations of World War I, Nyíregyháza was under Romanian occupation for ten months. Between the two world wars, the city celebrated the 100th anniversary of becoming free from its feudal landowners. During World War II, Jews are used as forced laborers by Hungarians. After the German invasion, more than 6,000 of the city's Jewish inhabitants were deported to Auschwitz concentration camp. Another 2,000 citizens were sent to Russian labor camps (colloquially called malenky robot). Several buildings were destroyed, too, including the Status Quo Synagogue, whose front wall has been preserved; it is now in Nyíregyháza's Jewish Cemetery. A monument in the memory of the holocaust victims was constructed in 2004. From the 1960s, the city grew and developed quickly. Today, Nyíregyháza is one of the most prosperous cities of Hungary, being both an educational center and a popular tourist destination. Nyíregyháza is the birthplace of Israeli artist Zeev Kun who was born here in 1930. With a population of 118,000, it is the seventh-largest city in Hungary. Nyíregyháza also has several museums and exhibitions, showing the city's rich cultural heritage. Near Nyíregyháza, at 47°56′12.17″N 21°45′28.35″E, stands the oldest radio mast in Hungary. Built in 1925, it is a 115 metre tall guyed mast radiator, used for broadcasting on 1251 kHz (AM). After the change of regime, several foreign-owned companies appeared in the city. In the early 2000s, the largest employers were Hübner Flextronics Ltd. and Hirsch's, but during the period of economic recession, many companies eliminated several thousand employees. Today, the largest public companies are the Lego Manufacturing Kft. and the Michelin Hungaria Abroncsgyártó Kft., providing employment for about 3000 people. Roman Catholic: At the 2011 census, 25,132 people, 20.1% of the population identified themselves as belonging to a particular religion (8365 fewer than in the previous census of 2001). The city is a co-headquarter of the Diocese of Debrecen-Nyíregyháza. The church maintains St. Emeric Catholic High School, Primary School and College and a kindergarten in the city. Greek Catholic: At the 2001 census, 12,742 people, 10.6% of the population identified themselves as belonging to a particular religion (6303 less than in 2001). The city is the seat of the only Hungarian Greek Catholic bishopric, the Diocese of Hajdúdorog. The Co-Cathedral of the Nyíregyháza St. Nicholas Bishop Greek Catholic Church, other churches in the city: Jósaváros Greek Catholic Church, Nyíregyháza-Örökösföld Holy Trinity Greek Catholic Church, Nyíregyháza-Borbánya Mother of God church leadership, Fox Mountain St Stephen's Chapel (Sóstóhegy) Nyírszőlős Mother of God birth of the Greek Catholic Church, Nyíregyháza-Oros Protection of the Theotokos Greek Catholic Church, Rozsrétszőlősi Greek Catholic chapel. Here you will find the country's only Greek Catholic institution of higher learning, the St. Athanasius Greek Catholic Theological College. Other religious educational institutions: St. Nicholas Greek Catholic Kindergarten, Primary and Secondary School, Nicholas Soja Greek Catholic Primary School and Nursery (Huszar Colony). Reformed - At the 2011 census, 19,662 people, 16.4% of the population identified themselves as belonging to a particular religion (in 2001 compared to 5956-strong decrease). The city belongs to the East Hungarian Reformed Church District you. Churches in the city: Nyíregyháza City Reformed Church Temple, Nyíregyháza-Garden City Reformed Church Church of Nyíregyháza-Sóstói Reformed Church church Orosi Reformed Church Temple. Maintained by the Church institutions: Jókai Reformed Primary School, Magdaléneum - Reformed Disability Nurse, Nursing Home, Mustard Seed Nursery, Kálvineum Nursing Home. Lutheran - At the 2011 census, 8,391 people, 7% of the population identified themselves as belonging to a particular religion (in 2001 compared to 3970-strong decrease). Because of the city's Szabolcs Hajdu-diocese headquarters, especially in the 18th century Nyíregyháza újranépesítő tirpákok are important in the tradition of the Church. In 1947, the Hungarian-Slovak population exchange has greatly contributed to the decrease in the number of believers. The denomination of the oldest and largest local church in the Nyíregyháza Lutheran Church Great Church, other churches: Evangelical small church, Nyíregyháza-Garden City Augsburg Confession Lutheran Church meetinghouses, Nyíregyháza Lutheran Church III. area Borbánya church Rozsrétszőlősi Bethlehem Lutheran church, the church Nyírszőlős Lutheran Church. The College of Nyíregyháza Budapest Protestant Theological University mel pricing religious cooperation is going well. Maintained by the Church's educational institutions: Lajos Kossuth Nyíregyháza Lutheran High School, Zoltan Turóczy Protestant English Bilingual Primary School and Nursery. The institution of the Emmaus Lutheran Church Charity Home Church also. Orthodox - At the 2011 census, 127 people declared themselves as belonging to a particular religion, it is a percentage of the amount undetectable. As the great church of St George the Martyr Orthodox chapel serves. The Hungarian Orthodox Diocese falls under.